The windows at Bergdorfs pay tribute to Bill Cunningham. Last night Bergdorf Goodman threw a party for Bill Cunningham, the legendary photographer for The New York Times who shoots style on the street. He's a wonderful, original, independent voice who has a quick eye for real style. He said in Women's Wear Daily on Tuesday, "I don't pay attention to celebrities. I don't photograph them. They don't dress so...interestingly. They have stylists. I prefer real women with their own taste." In this day of tabloid celebrity journalism, that is quite a contrarian thing to say. And that's why everyone loves him. He's a very gentle, soft-spoken soul. And he hates being in the spotlight. I've tried to interview him before but he said no. He's quite an anomaly in the fashion business. Everyone hopes to have Bill Cunningham take their picture on the street for his Sunday column. 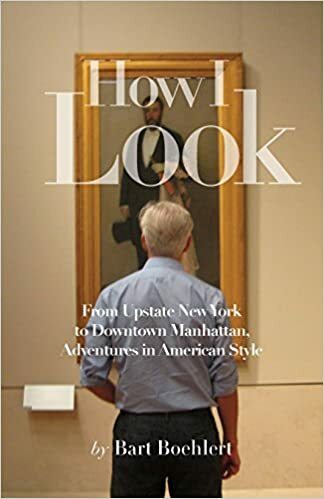 I had a friend who wanted to write an article called "Trying to Get Bill Cunningham to Take My Picture." I've never been pictured in his column. Ted has been in it three times! Ted is on the board of directors of Bailey House, the organization that houses homeless people with AIDS, and Bill Cunningham likes to support the group by showing up at events and taking pictures, often of Ted. They developed a little friendship. I said to Ted as we got off the elevator and walked into the party on the third floor of Bergdorf Goodman, "If Bill Cunningham takes your picture and I'm not in it I'm going to divorce you." The party was a crush of people. Loud, noisy, fun. I had the chance to meet Cathy Horyn from The New York Times and tell her how much I like her blog. I saw my friend David Patrick Columbia who is the founder of NewYorkSocialDiary.com and the editor-in-chief of Quest magazine, and I said hello to model Lauren Hutton who I interviewed years ago. Bill Cunningham, with a camera around his neck, was in a corner, with well-wishers all around him. Ted is usually not aggressive in social situations but he made a bee line for Bill Cunningham and they had a little chat about Bailey House. I waited for the moment when he would spin around and start taking pictures of us. Bill Cunningham said,"Thank you so much for coming." Flashes went off as another lensman shot Bill Cunningham and Ted together, arm and arm. When it was done, I could see Bill Cunningham was crying. I'm not sure why -- because of the support he and Ted give to Bailey House, because someone from Bailey House had shown up for him, because of the AIDS epidemic. He had tears in his eyes and he couldn't compose himself. He is a very, very sweet man. Ted said, "He's an artist."